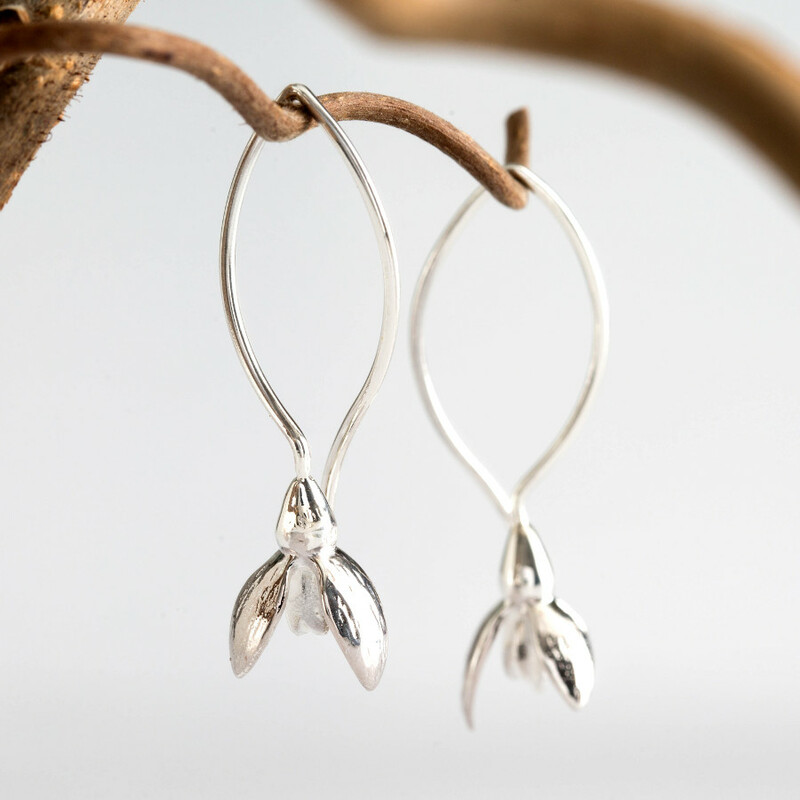 The beauty and delicacy of the snowdrop flower is seen as a symbol of hope and optimism and that is exactly what these stunning recycled sterling silver earrings represent. Each silver petal is gently polished and the interior of the flower has a matt white frosted appearance. They are lovingly handcrafted by a womens charity named Made By Survivors, who have all been affected by slavery. They receive excellent training in silversmithing and other useful skills so that they can make a living a support their families. The snowdrop is a strong willed flower that first appears as winter comes to an end and is the emblem of the joyous Celtic spring festival of Imbolc. It would make a lovely gift for a loved one or a treat just for you. Size: drop 39mm, Flower 13mm x 8mm. There are currently no questions to display about Mosami Snowdrop 'Hope' Earrings.